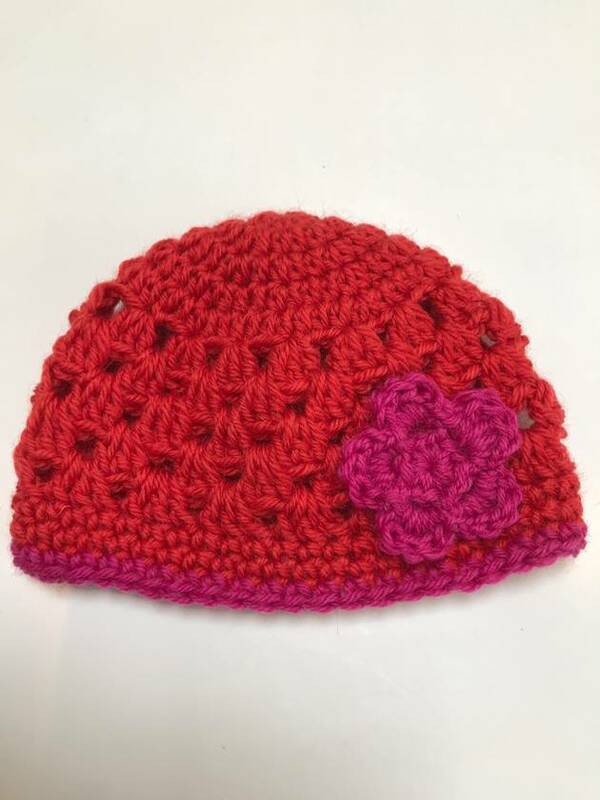 This gorgeous beanie is crocheted using soft, pure wool, perfect for keeping little heads warm. The addition of the wee flower will have your wee one looking absolutely adorable! The colour is fabulous and is a lovely orangey red with a cerise flower and edging. The approximate circumference (without stretching) is 30cm. The length of the hat is approximately 13cm. An estimated age for this size would be newborn to approximately 3+ months. If you have a specific size or colour combination you would like, I am happy to make-to-order and list here for purchase. Sizes range from newborn through to adult in a variety of styles. If you would like to purchase this as a gift - I am happy to gift wrap and include a small card at no extra cost.